LED Candles provide realistic flickering effect,mainly used for decorations,weddings,holiday,birthdays,church,dinner and so on.Long-life,energt-efficient and environment-friendly LED Candle powered by replaceable button cell,estimate to last over 100 hours with one battery. --Remove the security strip from the battery compartment. --Please use the ON / OFF of the Led Candle . --The LED candle ( promotion gift ) must not come into contact with water. --Apply to the use of household indoor air. --For maximum durability, you should turn off the candles no use for. Avoid that batteries come in contact with water or fire. The button cell is not rechargeable. Empty batteries must not be disposed of with household waste disposal should be via trade or the place specially equipped collection. --Through misuse of the batteries may cause damage, so avoid rough handling. Aoyin Xingtang Candle Company has exported candles more than 4 years,with professional prodcution technology and package workers,mainly produce and export White Candle,Color Candle,Flute Candle,Tealight Candle,Glass Jar Candle,Pillar Candle,Jelly Candle,LED Candle,and so on.Welcome old and new customers to inquiry and visit our factory. 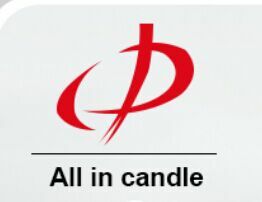 Looking for ideal LED Tea Lights Candles Manufacturer & supplier ? We have a wide selection at great prices to help you get creative. All the 24pcs Flameless Led Candles are quality guaranteed. We are China Origin Factory of Flameless Led Tea Lights Candles. If you have any question, please feel free to contact us.